CoolStream S provides low-cost adiabatic / evaporative cooling and ventilation principally for larger industrial and commercial premises. It has been hygienically tested and certified to VDI 6022. The CoolStream S evaporative cooling and ventilation system helps keep larger internal spaces pleasantly cool all year round. It doesn’t need to cost the earth: using the cooling power of water, it’s possible to achieve low energy cooling. 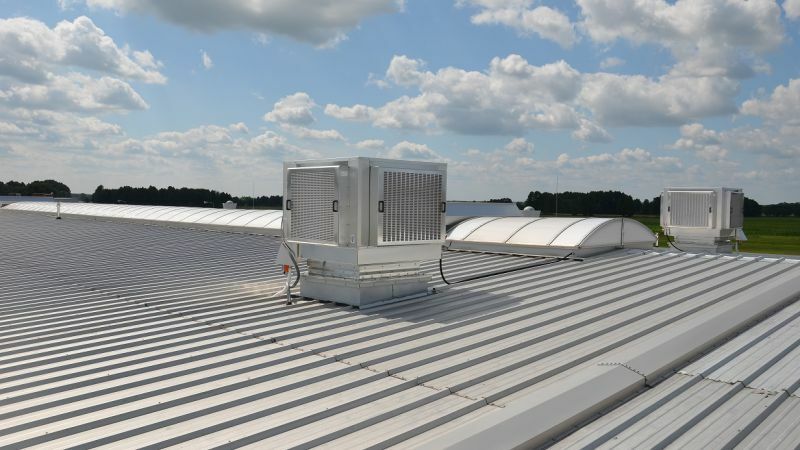 CoolStream S is especially suited to those buildings which require a cost-effective cooling system for larger spaces, whether industrial or commercial, which do not require an absolutely constant internal temperature at all times. It is especially effective for conditioning areas which produce a fair degree of heat. Its applications are very wide and include plastics, metal and food industries, warehouses, data centres, transformer buildings, exhibition halls and shopping malls. In addition, CoolStream can be used for air humidification, for example in the paper and printing industry. CoolStream systems are popular with building operators and owners because of their low initial and running costs and low maintenance. Hot dry air is drawn across wetted media, resulting in an exchange of energy and a significant reduction in the temperature of the air. The warmer the outside temperature, the more efficiently evaporative cooling works. If the ambient air is 30°C or above, the supply air can be cooled down adiabatically by at least 10°C. In general, the hotter the weather, the more efficient the cooling is. 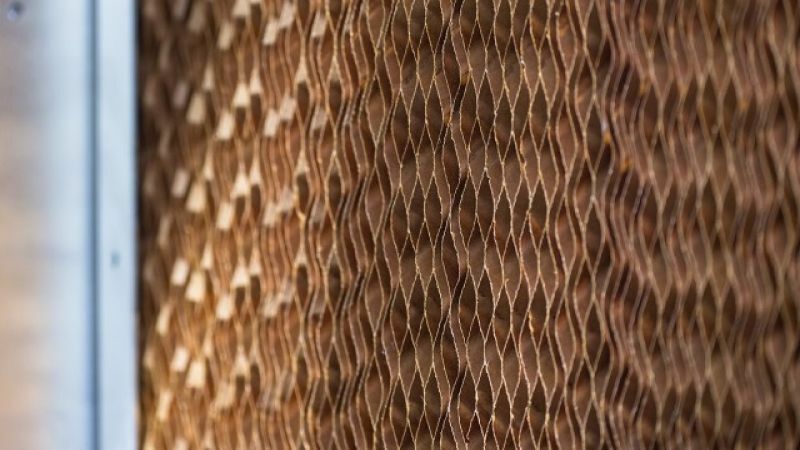 Evaporative cooling is up to 7 times more economical than conventional air conditioning systems, and has lower initial costs. Evaporative cooling always involves the supply of 100% fresh air and thereby maintains good air quality. It is an enhanced input ventilation system, which means it can be used in spring and summer with the cooling function only being operated when conditions dictate. Excess heat is normally removed at high level via natural ventilators, providing a pleasant temperature in the internal space. CoolStream S is particularly effective in large spaces where a pure ventilation system cannot ensure a comfortable internal working climate. It is well suited for retrofit into existing ventilation systems to boost the cooling effect. CoolStream S units consume only around only around 1 kW and 50 litres of water per 10,000 m³/h of supplied air, equivalent to more than 30 kW cooling power, depending on the configuration chosen. Energy consumption can be further reduced with the use of EC fans. We also can offer a tailor-made “All Seasons” option, which can provide ventilation, heat reclaim and cooling throughout the year. CoolStream S’s control system is designed to ensure that water circulates safely, at the correct temperature. The unique shape of the desorption medium maintains complete darkness inside the unit, keeping the water cool. The process water is refreshed to avoid the growth of bacteria. Aluminium fins prevent the incidence of sunlight and protect the desorption medium from the external environment. All this ensures that high water quality is maintained. CoolStream S runs on water only and requires no CFC or similar refrigerants which are harmful to the environment. Colt can advise on all aspects of the ventilation design. With the help of the most advanced CFD calculations, Colt can provide support right at the start of the project and thereby provide definitive information as regards the expected performance and conditions within the conditioned space. CoolStream needs a suitable environment for it to be able to perform correctly. Be allowed to draw in air which is unusually humid or containing unusual amounts of particulates. Operate with rain water, distilled and demineralised water or with contaminated drinking water. Be used for the cooling of smaller spaces, spaces without the provision of exhaust air or spaces either with significant over- or under-pressure. Be used in a space where a low humidity is needed or where there are corrosive gases. 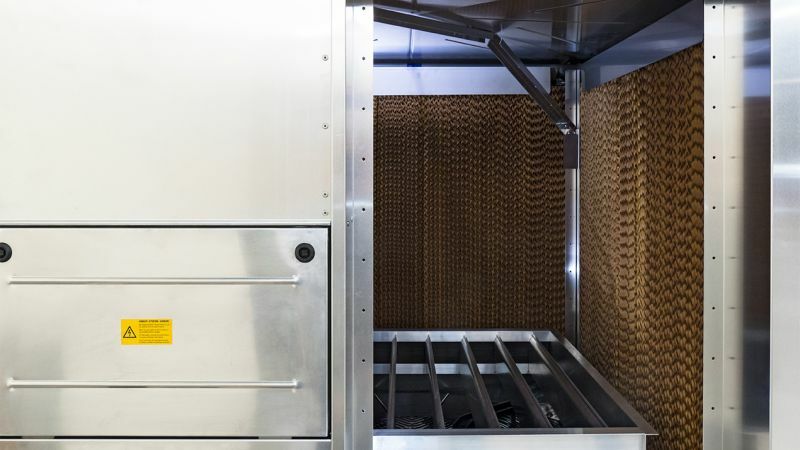 Be used for the direct cooling of machines and processes which need an absolutely constant temperature and therefore constant cooling power independent of the ambient conditions, since the cooling power is higher in the summer than in the winter, and this depends on the weather. Consult with Colt for further information. 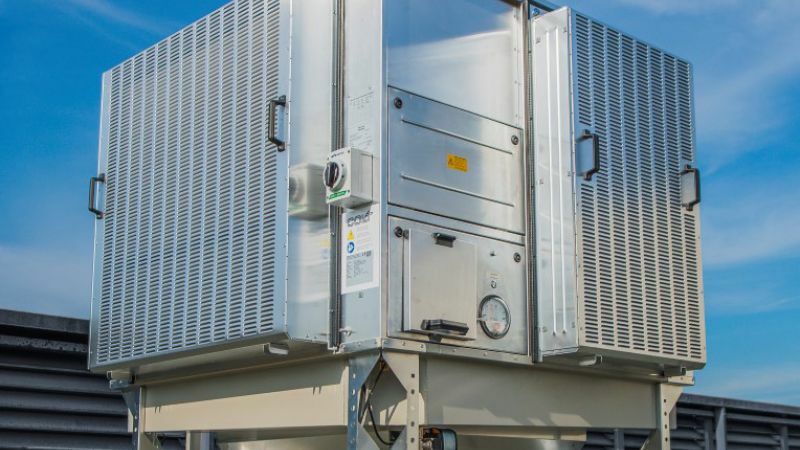 Highly efficient adiabatic system, using the principle of evaporative cooling to provide cooled air as part of a balanced ventilation system, in situations where conventional air conditioning is not cost-effective. Uses full fresh air to maintain good air quality, with integrated water quality control system. Tested to VDI 6022 with an HVAC hygiene certificate. Incorporates either an AC or an EC fan. Suitable for connecting to an air handling / input system such as ColtAir. Side panel with either G4, M5 or F7 filter classes in accordance with EN779:2012. “All Seasons” option for ventilation, heat recovery and cooling throughout the year. Other options include internal lighting / light switch, sight glass, pressure display (only when filters are supplied), VDI 6022 certificate.